Qualification:Degree in Electrical/Electronics/Mechanical Engineering. Minimum 10 years of experience, out of 3 years in Executive Cadre Service in Indian Railways, IR subsidiary companies, Metro Rail Organisations, any otherdepartment/PSU/Board/Organization of Government or Large Private Sector organizations. How To Apply: • Application form may be downloaded from KMRL website. • The filled in application form along with application fee and self-attested copies of proof of age, qualifications & experience may be send by Registered post/Speed post/courier in an envelope superscribing the name of the post applied for. • The application fee should be paid in the form of a demand draft for Rs.250.00 drawn in favour of Kochi Metro Rail Ltd., payable at Kochi. This is non-refundable under anycircumstances. 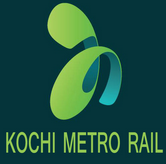 • Applications shall be send to Manager (HR & Training), Kochi Metro Rail Ltd., 8th Floor,Revenue Tower, Park Avenue, Kochi – 682 011 so as to reach the office latest by 12th Novemberer 2014. Last Date: 12th Novemberer 2014. General Information: • Experience and age criteria can be relaxed in case of otherwise exceptionally deserving candidates. • The number of vacancies shown above is tentative and may undergo change. • Only shortlisted candidates will be notified for interview. KMRL reserves the right to shortlist the candidates. • Applicants employed in Govt./Quasi Govt./ PSUs shall apply through proper channel, after forwarding the advance copy along with the application fee and shall produce a "No Objection Certificate" from their employer at the time of interview. • Acceptance or rejection of application of the candidates will be the sole discretion of the Management. Incomplete applications are liable to be rejected. • Applications of candidates attempting to influence or interfere with the selection process will be rejected summarily and he/she will be declared disqualified for future vacancies in KMRL. • No TA/DA will be paid by KMRL to candidates for attending interview.